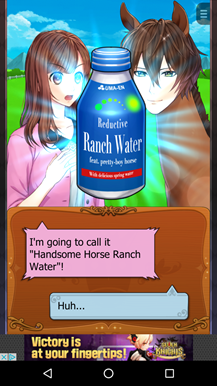 The dating simulator genre has some strange entries - which is to be expected, since it has a lot of DNA from the anime-inspired visual novel. For example, earlier this year we covered Hatoful Boyfriend, in which a human high school girl is courted by various pigeons. 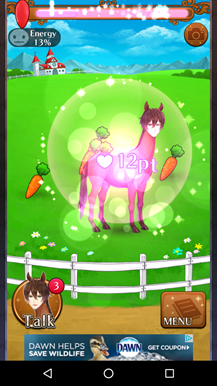 But My Horse Prince probably takes the cake: it tells the story of a girl who loves a horse. And not in that generically feminine, "I want a pony for Christmas" kind of way - she really loves him. Also, he has a human teenager's face for some reason. Yeah, this is one of those games. 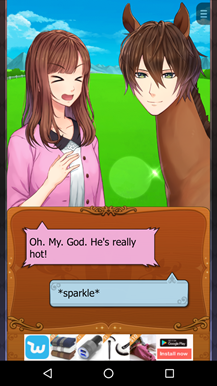 In its defense, My Horse Prince is perfectly aware of how ridiculous it is. 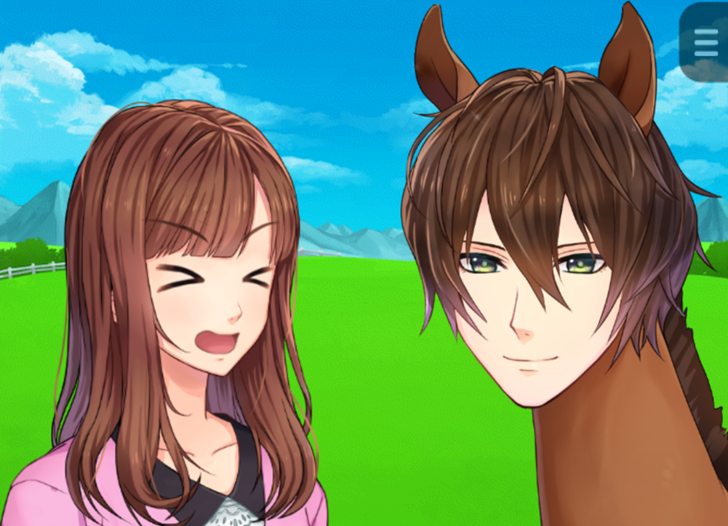 The player-character ("Umako" by default, "Lady Catherine" in my game, because I couldn't resist) acknowledges how strange the human-faced horse "Yuuma" is... right after screaming that "he's really hot!" Yuuma's human features and speech might just be a figment of Umako's lonely imagination, because she was born in the year of the horse. Yes, that's the central concept here. For his part, Yuuma insists that he's a normal horse. While he's talking to her. 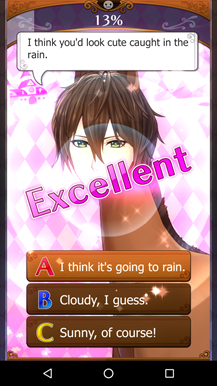 The gameplay shifts from simple dialogue to a minigame where you rapidly tap on items for Yuuma to use, then talk to him, with your relationship growing stronger to a greater or lesser degree based on some very basic choices. 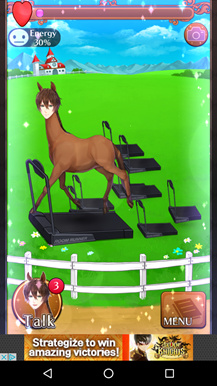 Talking to the horse, and advancing to new sections of the story, is time-limited. The game works best in short sessions of only a few minutes each. The humor comes from Umako's awkward revulsion and attraction, and the general ridiculousness of the premise. 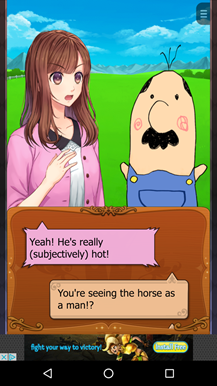 While Umako and Yuuma are lovingly drawn in full anime style, the farmer, who's more or less the straight man in this farce, is a cartoon scribble. The story starts weird and continues as such, but never gets into the truly disturbing territory that's only vaguely hinted at by the context. 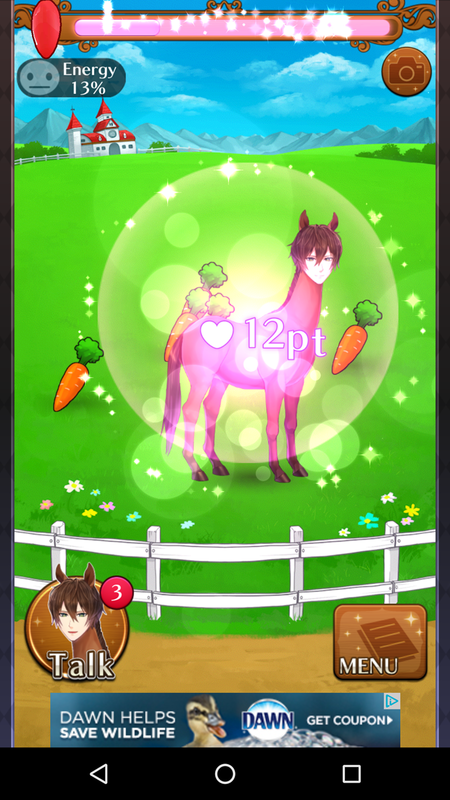 My Horse Prince is free to download, with a $1 in-app purchase to remove all ads and a $2 option to permanently double points earned.